Dr. Emanuel Bronner was a master soapmaker, self-proclaimed rabbi, and, allegedly, Albert Einstein’s nephew. In 1947, after escaping from a mental institution, he invented the formula for “Dr. 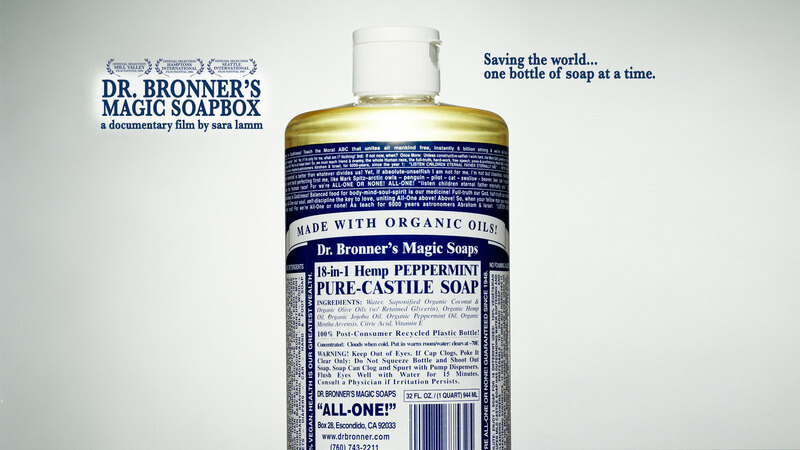 Bronner’s Magic Soap,” a peppermint-infused, all-natural, multi-purpose liquid that can be found today in every American health food store. On each bottle of his soap, he printed an ever-evolving set of teachings he called “The Moral ABC,” designed, in his words, “TO UNITE ALL MANKIND FREE!” A human story about a socially responsible company, “Dr. 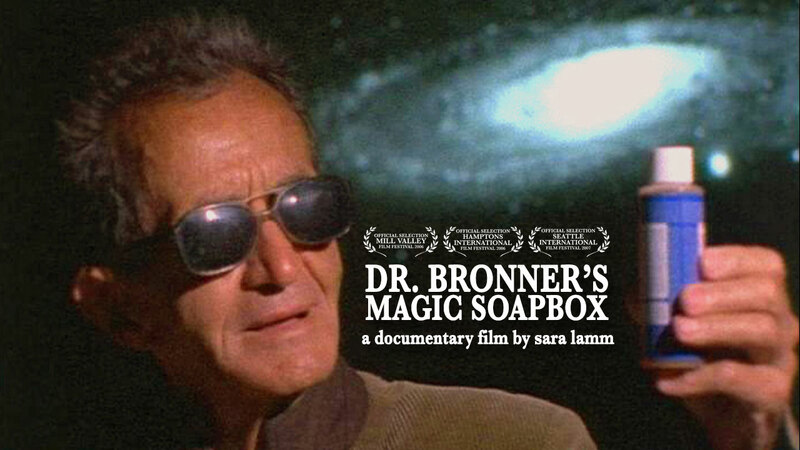 Bronner’s Magic Soapbox” documents the complicated family legacy behind the counterculture’s favorite cleaning product — Bronner’s son, 68-year-old Ralph, endured over 15 orphanages and foster homes as a child, but despite difficult memories, is his father’s most ardent fan.